By collecting extensive data from the surface rapidly, LiDAR technology has dramatically changed the geospatial industry. 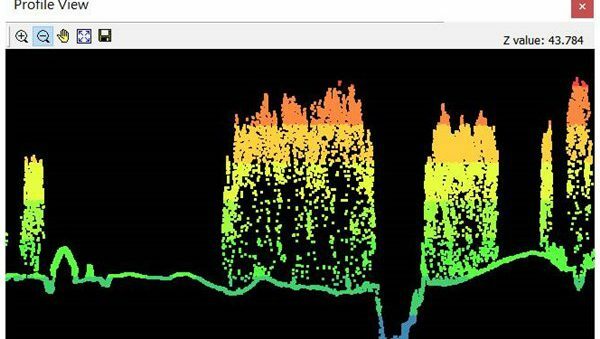 LiDAR data can record much delicate information including the elevation, the spectrum, and the category of an object, offering high-precision data for diverse applications. LiDAR Tool is a new add-on of SuperGIS Desktop 10 which perfectly integrates many functions for LiDAR data processing, displaying, and converting. LiDAR Tool enables users to view LiDAR data in various ways. People can identify the RGB value, the elevation value, and classification value, while to exclude unnecessary information with filtering tools at the same time. For example, to observe the topography more specifically, you can refine the data by removing those from the canopy while retaining the data from the surface. Also, users could utilize the profile view and understand the altitude changes or buildings profile along the assigned path. Except displaying LiDAR data, users can also manipulate the data effortlessly with LiDAR tool, such as extracting and exporting required data, splitting, and merging data. Extraction function allows users extract values from original LiDAR data by an assigned spatial extent or selected classifications. The Split function enables users to separate LiDAR data into several smaller parts and also can help users to cut LiDAR data by different directions and GPS time. After data processing, you can convert LiDAR data into raster or vector data for further applications. Also, if you want to share the LiDAR data, you can turn the data from LAS format into LAZ format, reducing the file size. With LiDAR Tool, experts from different fields can benefit from LiDAR data in the GIS platform. For example, a forestry management expert can record a large quantity of data indicating the tree height and the crown density by using LiDAR. Such information would help forest vegetation modeling and enhance the forecast accuracy of forest conditions. Therefore, conditions that will trigger forest fire can be understood and predicted with greater precision, allowing forest managers to reduce the damage caused by the fire. Also, LiDAR data enables disaster prevention experts to establish high-accuracy digital terrain models (DTM), improving the accuracy of flood simulations. Because in modern urban areas, the land is extensively developed, even small changes of water level may result in severe impacts. LiDAR data can provide research institutes and government units to develop disaster prevention strategies in a more realistic way. 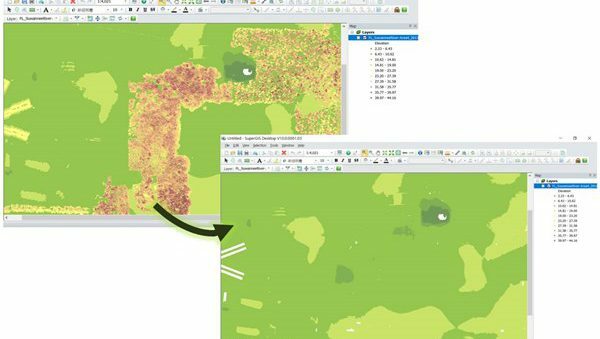 In sum, by integrating these powerful features of LiDAR Tool and built-in analytical tools in SuperGIS Desktop 10, users from different fields can utilize LiDAR data seamlessly in the GIS platform and achieve a better outcome for their project.